If fishing is your passion you have come to the right place! 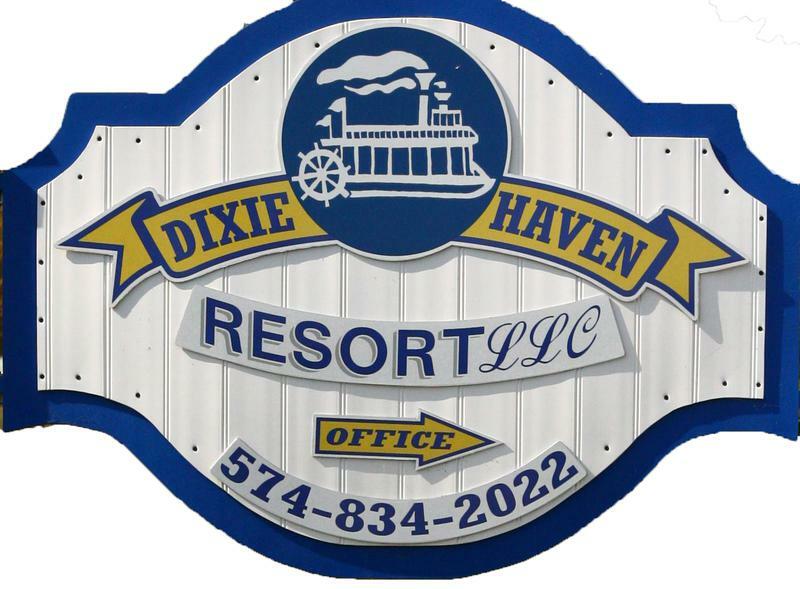 The Dixie Haven Resort sits just across the street from Webster Lake and just a few miles from several other great fishing locations. This is Indiana's premier muskie lake. This lake has 540 acres of water with a maximum depth of 60 ft. Many muskie fans travel to this lake in search of big, toothy muskie every year. Muskie in this lake have been known to range between 43" and 50" long. Then you will be happy to know that this lake is also home to largemouth bass, smallmouth bass, yellow perch and other panfrying fish. This is the largest natural lake in the state. With over 3,000 acres, and a maxiumum depth of 77 ft, there is plenty of water to enjoy. Wawasee also has one of the largest Northern Pike population along with plenty of other favorites like bluegill, yellow perch and largemouth bass. This lake has approx. 700 acres with a maximum depth of 95 ft. This is a chain of seven small lakes situated just West of SR 13 and South of the town of North Webster. This chain of lakes includes: Kuhn, Big Barbee , Little Barbee, Irish, Sawmill, and Sechrist . Fishermen are rewarded with bountiful catches of bluegill, largemouth bass, yellow perch, muskie, catfish, and crappies.